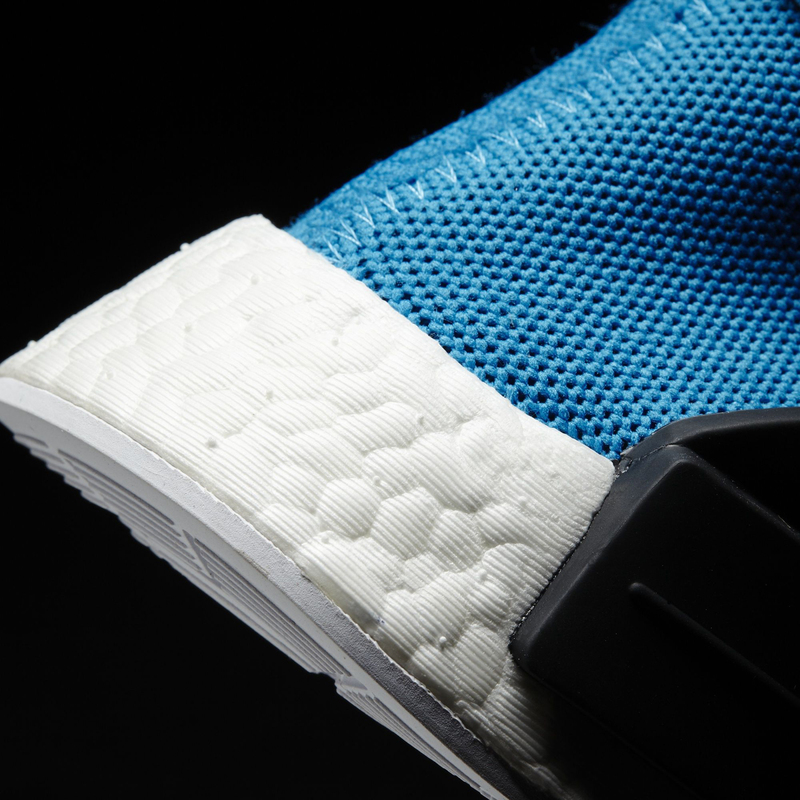 See the blue Pharrell x adidas NMD here. 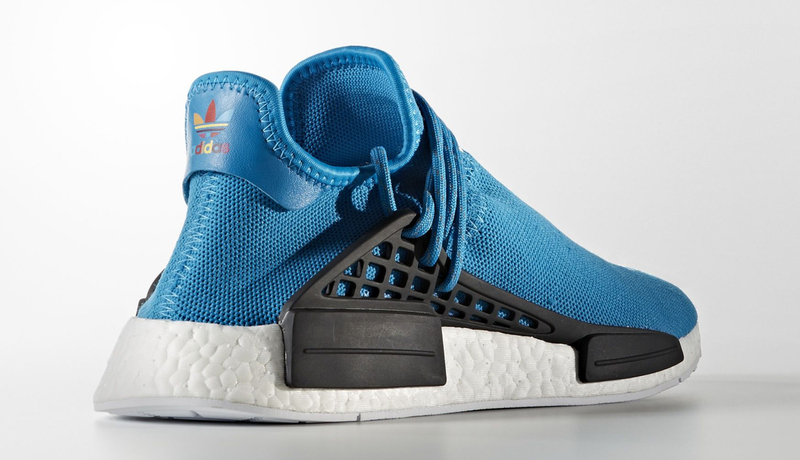 The Pharrell x adidas NMD line will get a lot bigger in a few weeks, with the superstar producer planning to drop five new colorways of the "Human Race" design. 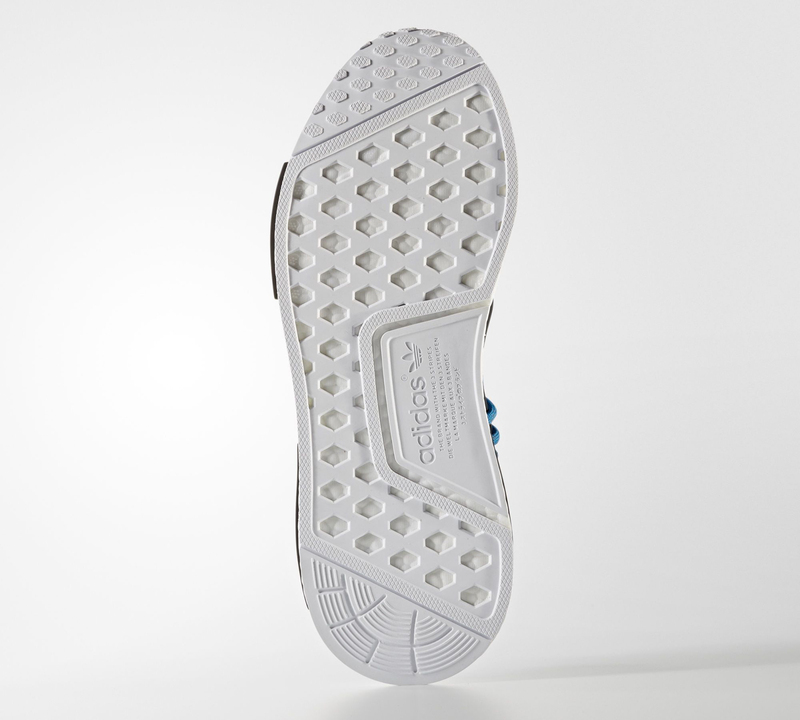 Shown here is the blue pair among them, which is similar to the one Pharrell himself wore at the Kanye West's Yeezy Season 4 show this week. There was some confusion over these designs earlier in the summer due to images of sample pairs getting loaded onto adidas.com's servers. The images have since been changed, with the new ones presumably reflecting what the final retail pairs will look like. 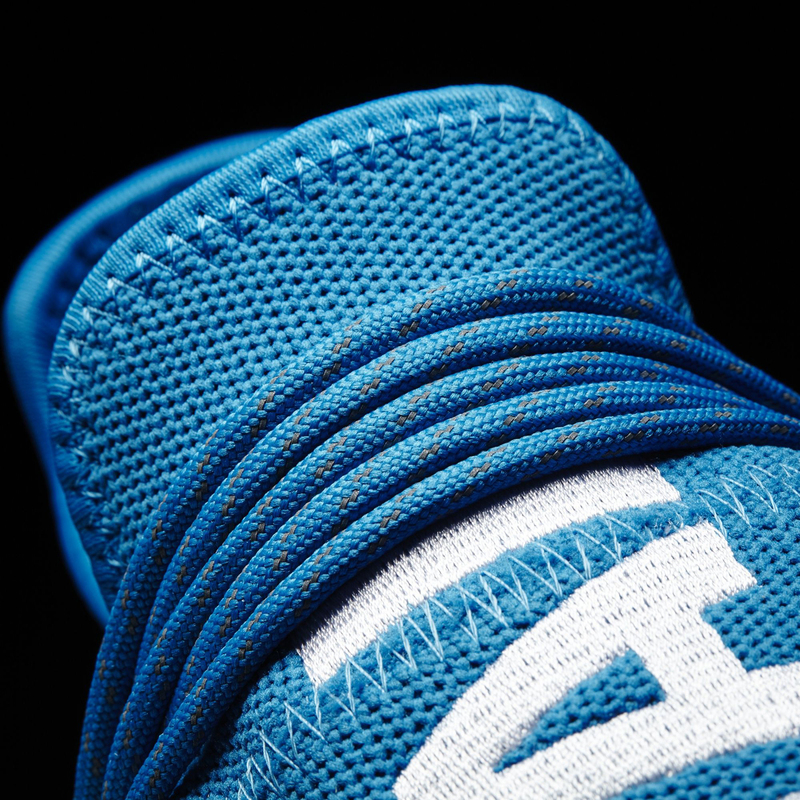 Each shoe in the pack will be slightly different, this one reading "Human Being" across the right and left shoes. 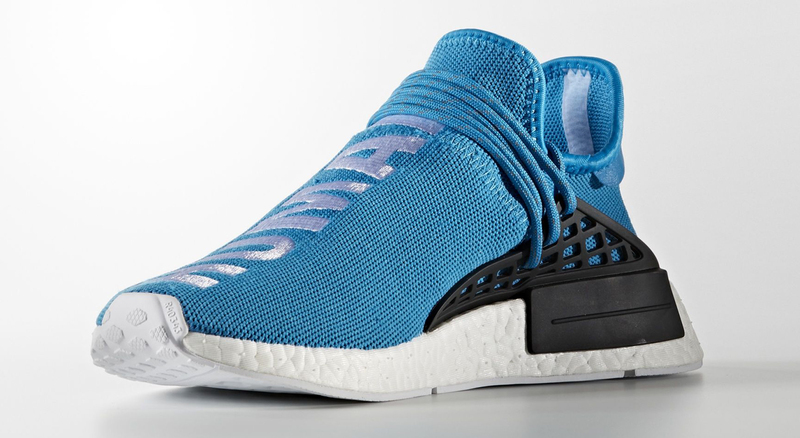 For now, it looks like stores are set to launch the blue Pharrell x adidas NMDs on Oct. 1.